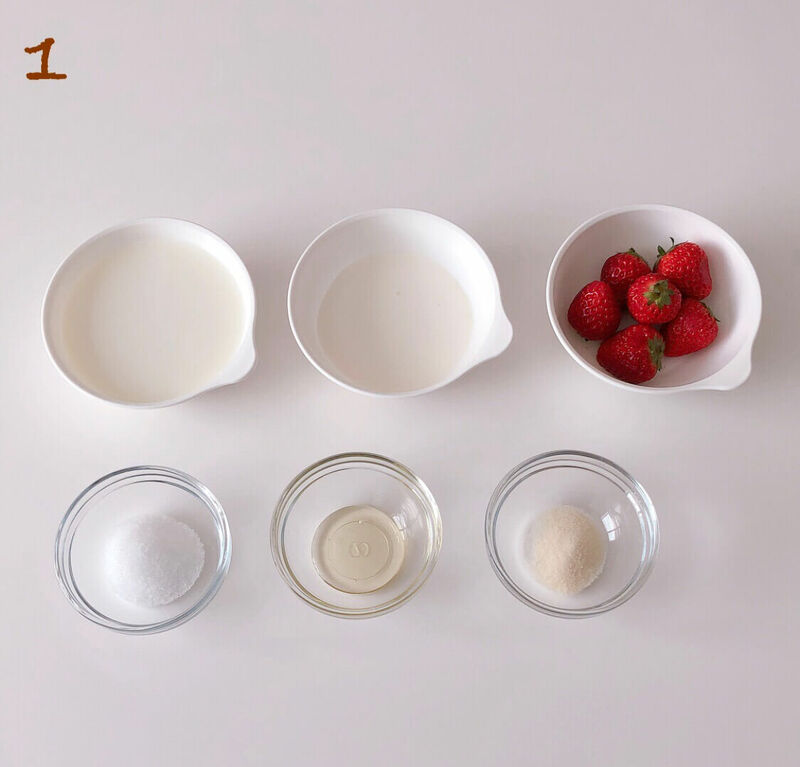 ①Heat the milk, sugar and honey together on a low heat. ②Once the sugar and honey have melted, remove from the heat. Add the water-soaked gelatin and melt into the mixture with the residual heat from the pan and then add the cream. 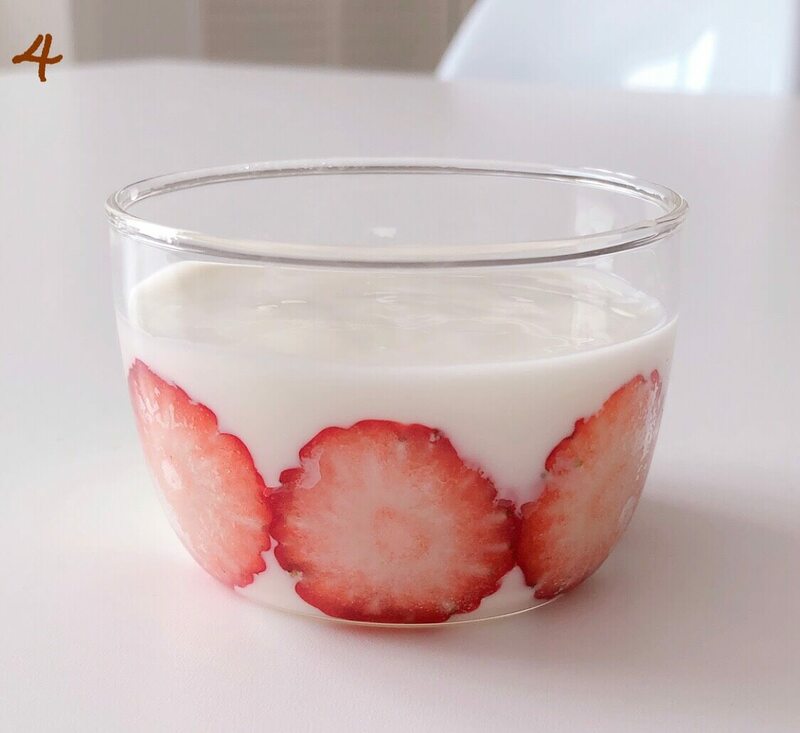 ③Line the inside of a glass with thinly sliced strawberries. 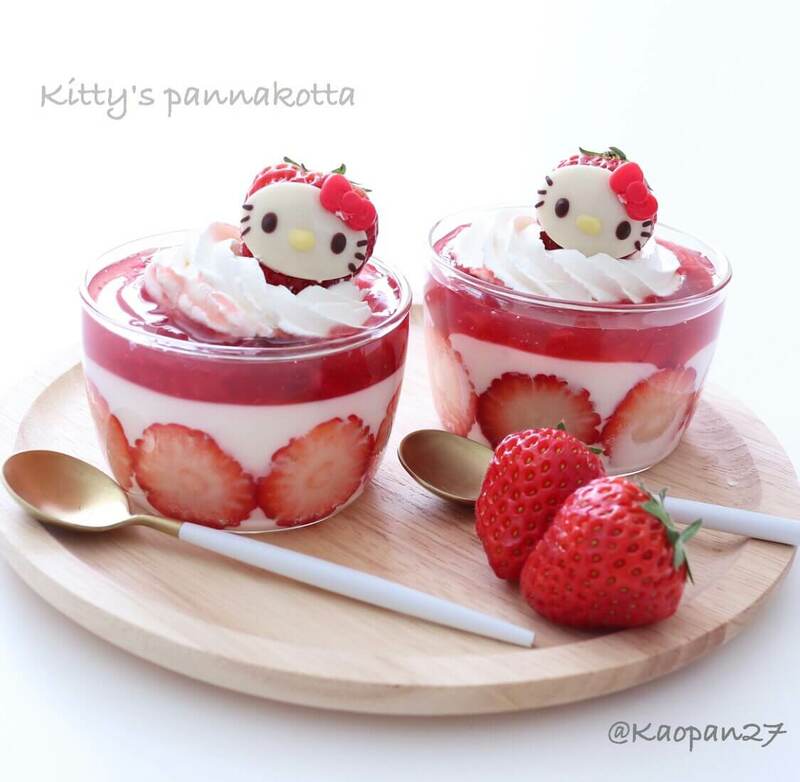 Place your panna cotta liquid from step ② into a bowl of ice to cool. 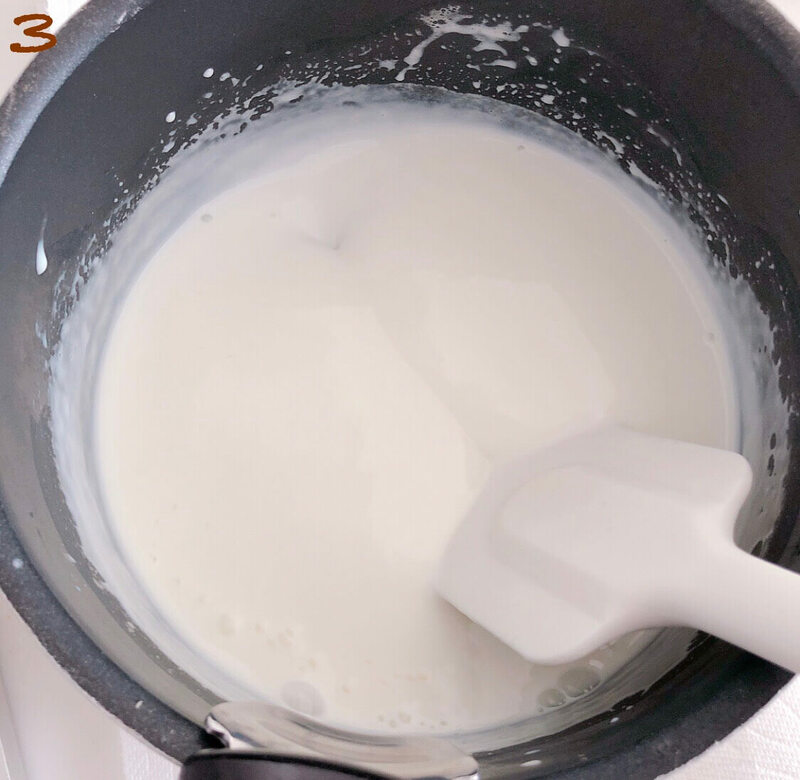 Use a rubber spatula like in the photo to trace the mixture, ensuring to cool it until it is thick enough that a line can be traced through it. 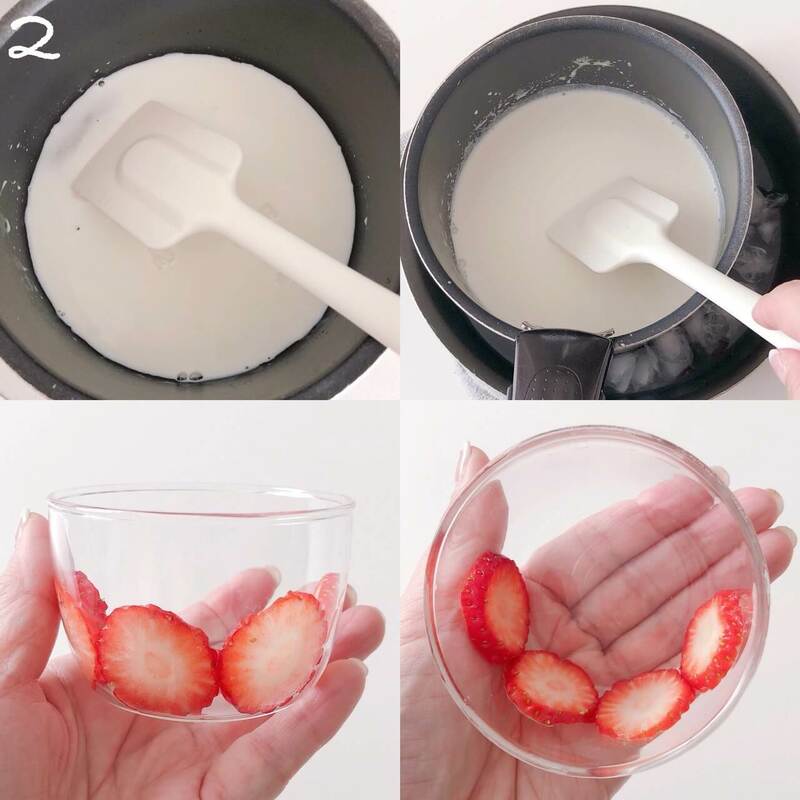 *It will be difficult for the liquid to pour between the strawberries and glass if you pour in liquid that has been cooled too thoroughly. Pour the mixture gently into the glass and place into the refrigerator to cool until it has solidified. 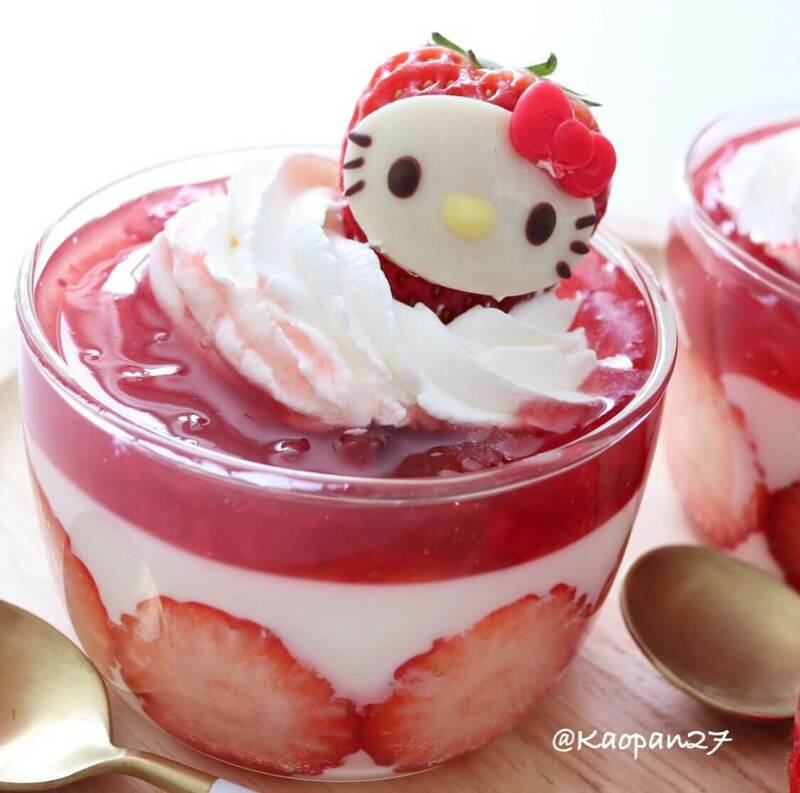 While you wait, it’s time to turn strawberries into Hello Kitty. Let’s take a look how to do this in the video below. Use a cotton swab to roll out some chocolate plastic and then cut with a cutter into ovals. 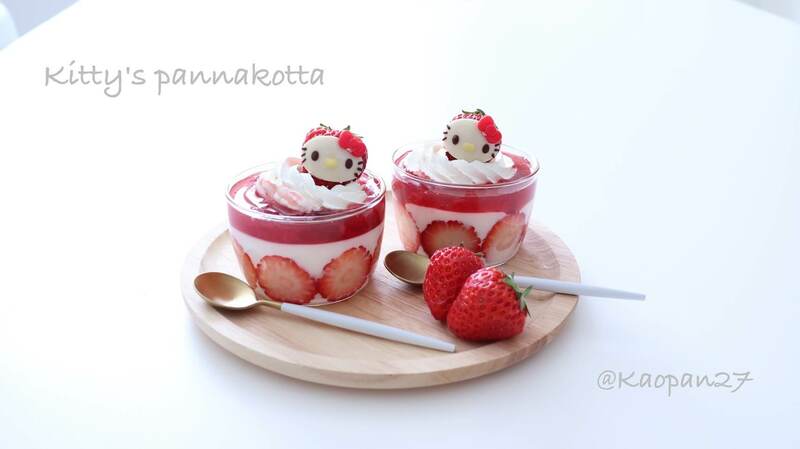 Warm with your hands while affixing to the strawberry. After attaching it’s time to draw the face. I used the end of a pick I bought from Seria (a ¥100 shop).